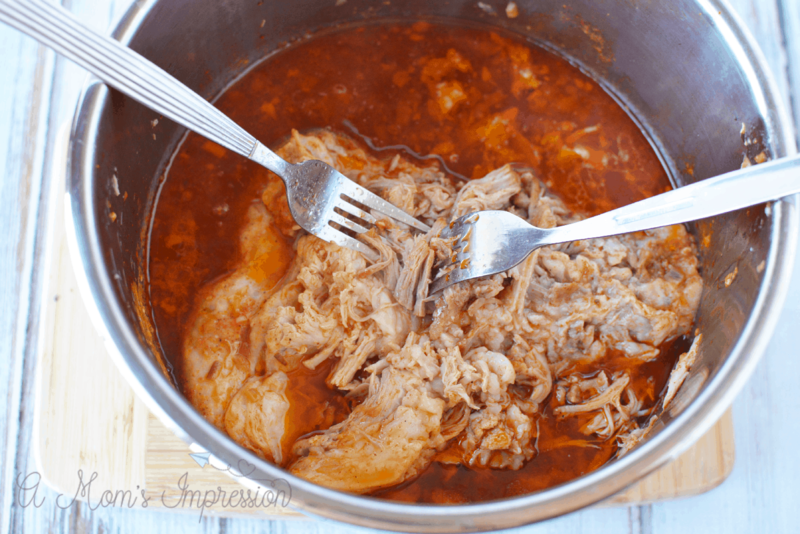 This Instant Pot Pulled Pork falls apart it is so moist and delicious. 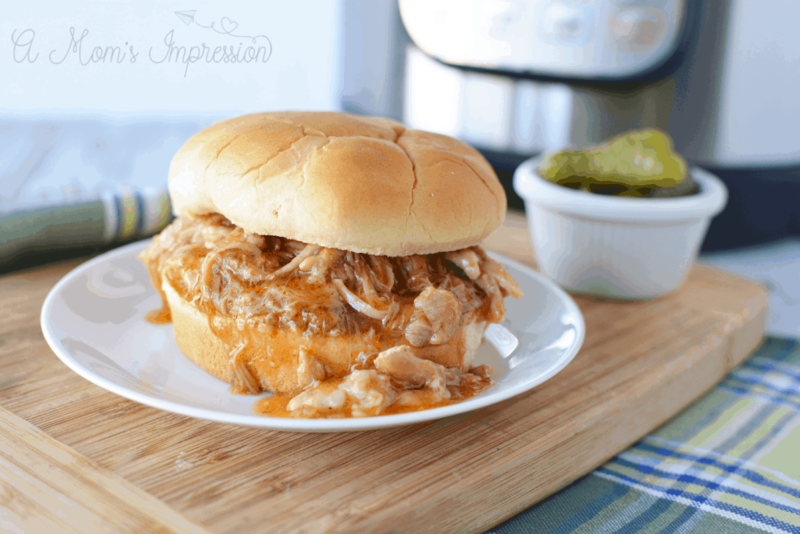 Pulled Pork is perfect for just about any occasion and is fantastic when entertaining. 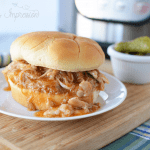 After making this easy pressure cooker pulled pork recipe you will want to make it all the time! I’m pretty sure my husband’s favorite thing in the whole wide world is pulled pork. He used to make pulled pork once a month when he had his smoker and it was delicious. About a year ago the smoker finally broke and we haven’t gotten around to purchase another one yet. 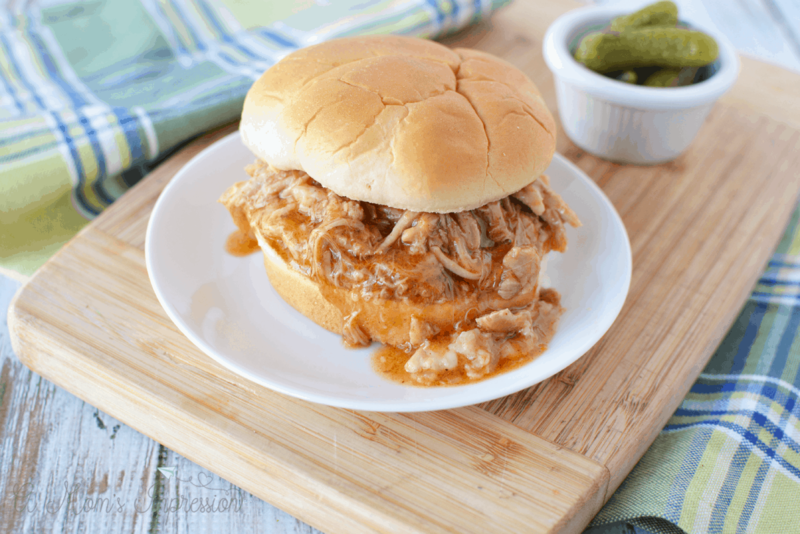 We haven’t made a great pulled pork until I decided to try out our faithful Instant Pot. I’ve been using my pressure cooker for a few years now and can’t imagine what it would be like to not have it. I use it several times a week to make amazing recipes such as this Instant Pot Chicken Burrito Bowl. Pressure Cooking isn’t as intimidating as it once may have been. To learn more about the benefits of pressure cooking check out our Pressure Cooker Guide. 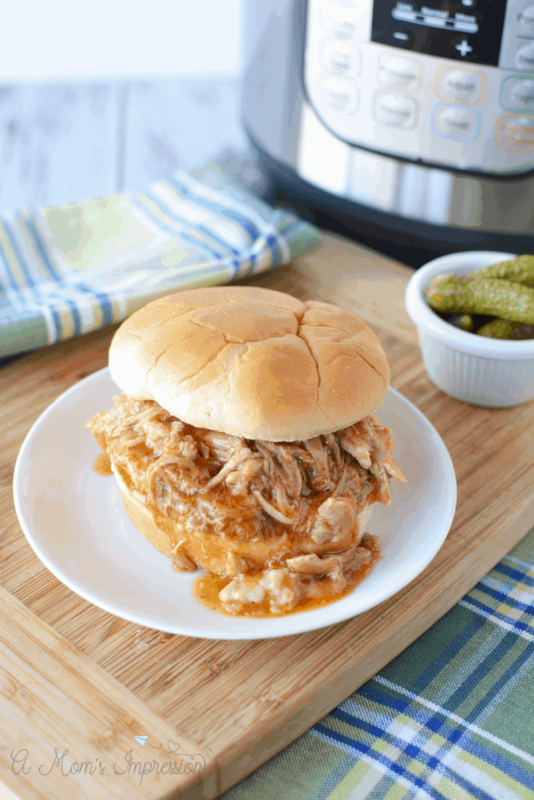 The pressure cooker makes this pulled pork recipe moist and delicious and cuts out HOURS of cook time. In fact, you can make an entire pork roast in about an hour. When we smoked ours it took almost the entire day! The Instant Pot is such a time saver you can even make Instant Pot brussels sprouts in minutes! Add oil and onion to instant pot and saute until onions are soft and begin to brown. Add beer, ketchup, broth, honey, vinegar, spices and mustard and mix well. Add roast and spoon liquid over roast if it is not covered. Place the lid onto the instant pot and seal it shut. Close the pressure release valve. Set the instant pot to manual, high pressure for 55 minutes. When cooking cycle is complete, let pressure naturally release for 10 minutes and then release pressure manually. Open the instant pot. 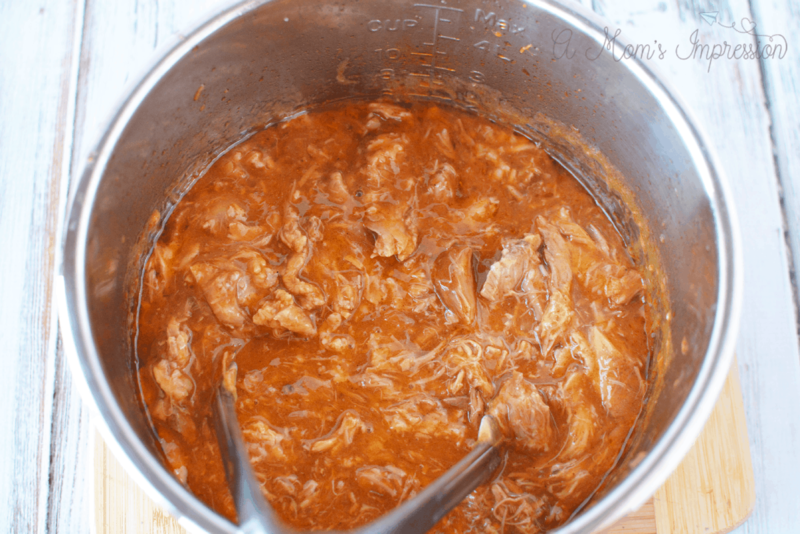 Very carefully use 2 forks to shred the pork, or remove the pork from the instant pot and shred it on a plate. 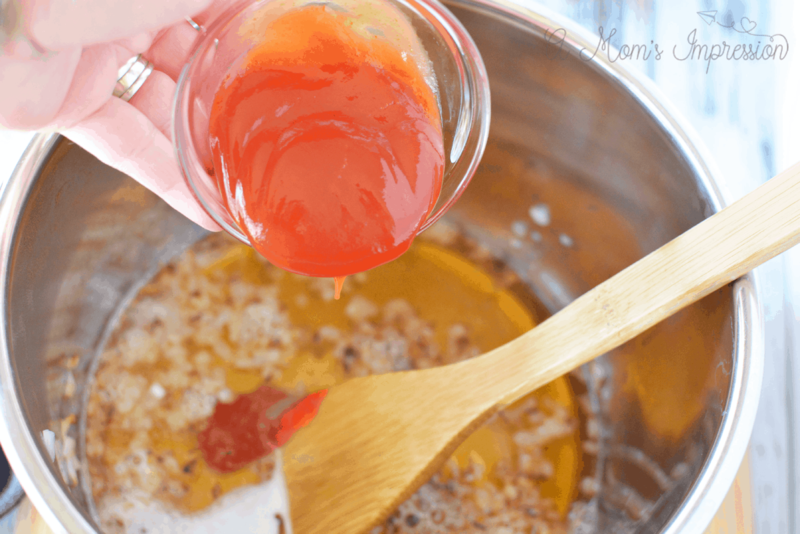 Return all ingredients to the pot and saute for an additional 10 minutes until sauce is reduced and thick. Add oil and onion to instant pot and sautee until onions are soft and begin to brown. Add beer, ketchup, broth, honey, vinegar, spices and mustard and mix well. Add roast and spoon liquid over roast if it is not covered. Open the instant pot. 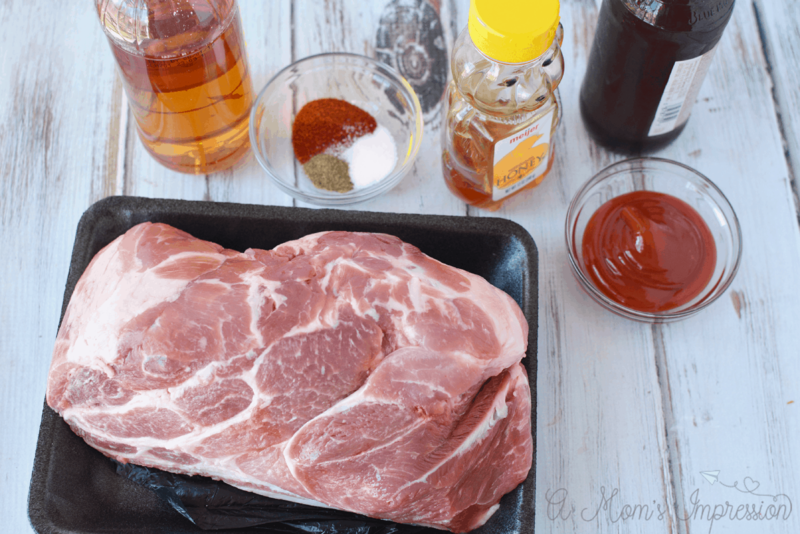 Very carefully use 2 forks to shred the pork, or remove the pork from the instant pot and shred it on a plate. Return all ingredients to the pot and sautee for an additional 10 minutes until sauce is reduced and thick. Serve on hamburger buns.